Born in Arkansas USA, the multi-instrumentalist street musician Dillon Wyte has traveled quite a bit of the world, gathering musical experiences, which formed his very personal style in music. As a little boy he was always fascinated by the sound of music. His parents love for music and his natural gift to be able to figure out how to play every instrument he picked up, made it clear that music making would be his purpose in life. At the age of 6, Dillon started playing guitar by ear and little later he taught himself drums and piano. As a young teen he encountered Jimi Hendrix, whose playing greatly enhanced his own, and through him he came to Bob Dylan, whose spirit gave him the confidence to sing. Dylan’s influence encouraged him to start writing his own material on the acoustic guitar. Traveling all around the globe as a street musician, from USA to Europe, From Australia to Latin America, he had the chance to play his music live in every corner: on the streets, in bars, in coffee shops, and in festivals. There was so much influence coming from the streets and from his interaction with the people. It was through this interaction that he met the woman who was to be his future wife, who introduced him to reggae music. Through her, he discovered a new world full of vibrations and spirituality. Being the grandson of a preacher, the path to Jah was just a natural consequence in the artist’s life. 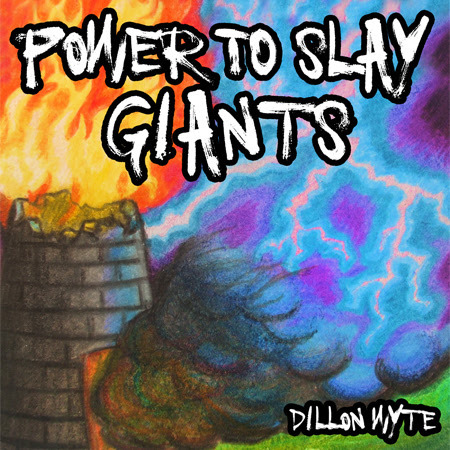 “Power To Slay Giants” is Dillon’s first work and the first ever “showcase” album released on Dubophonic. It is a one man show, showcasing through six vocal tracks and six dubs the artist’s vast talent as street musician, composer and songwriter, singer, instrumentalist, dub master and artist/painter (cover artwork). Dillon’s style is a joyful and harmonic amalgamation of roots reggae, American roots and dub, greatly influenced by the artist’s dearest idols. 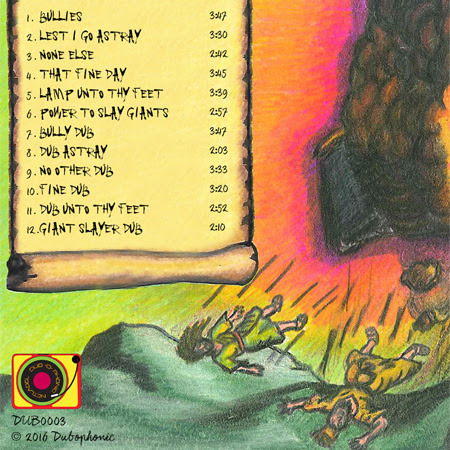 From the rootical and conscious Bullies, to the hopeful inspired That Fine Day, to the majestic and lyrical Lamp Unto Thy Feet, all tracks have this positive message in their lyrics. With the voice channel mixed in the foreground, the tracks reflect that "live” street music flair, referencing the artist’s street background … and the dubs … well, just press PLAY, sit back and enjoy them. We are sure that they will give you the necessary strength to slay all the giants in your life.